Successfully meeting suppliers’ needs as a contract manufacturer providing process capabilities, producing specialized formulations, blends, particle sizes, bulk densities, and other unique product attributes required by our customers. The Toll Compaction facility and operations are managed and documented under our quality assurance policy. Our quality group, with strict adherence to ISO 9001:2008, cGMP, and GFSI standards, oversees all aspects of our operations that could potentially impact product quality. Most likely, a percentage of the bulk solids that you use in your manufacturing process are too large and create flow or performance issues. Milling allows the customer to optimize their manufacturing capabilities and improve the flow characteristics of their product. Our modern packaging facilities transfer powders or granular material into and from supersacks, gaylords, fiber drums, plastic drums and pails, sewn bags, heat sealed bags, and valve bags. Whether truckload or smaller quanties, TC can handle all of your packaging needs. For decades, Toll Compaction has processed various chemicals, polymer additives, dietary supplements, excipients, and functional foods for numerous customers. 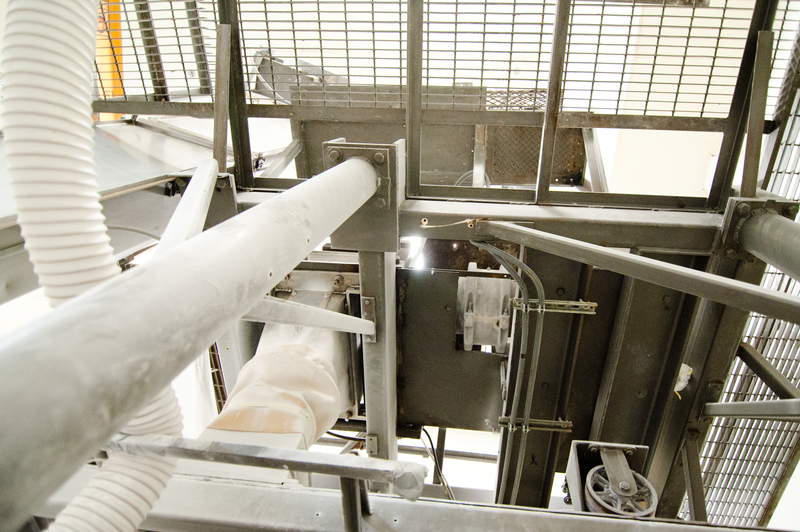 Our processing capabilities include dry granulation, blending, pelletizing, screening, and milling. Dry Granulation is used to create consistent, uniform granules from fine powders, which improves material handling, process flow, tableting, and dissolution properties. It also greatly reduces explosion risks and safety issues associated with handling various powders. By outsourcing, our customers can concentrate on their core competencies of sales, marketing, research & development. We work directly with them to improve the performance of their products by changing particle size, bulk density, blending, and reducing dust. Incorporated in 1978, Toll Compaction has evolved into a leading toll manufacturer of powdered chemicals, nutritional products, and functional foods. Our services allow companies to reduce capital expenditures and costs, while maintaining the confidence that their product is being processed to its highest quality standards. Toll Compaction is a leading toll manufacturer of powdered chemicals, polymer additives, nutritional products, and functional foods, offering a broad range of processing services, custom blending, compaction, granulation, and size reduction milling.